St. Louis based folk-rock group, The Defeated County, goes national with their first full length album “Bar Tabs and Baby Names”. Fronted by noted song-writer Langen Neubacher, the band features an usual mix of six stringed electric bass, pedal steel, acoustic and electric guitars, as well as textured keyboards and unique female fronted harmonies. Fans of PJ Harvey, Nick Cave, The Decemberists, and The Flaming Lips have all been drawn to The Defeated County due to their ability to blend genres and craft catchy but meaningful songs. With six members all coming from different musical background the group sites a wide range of artists as influences, ranging from folks heroes such as Woody Guthrie and Simon and Garfunkel, to Neko Case, Mirah, and The Replacements. In 2013 the group released a self titled EP which earned the band credit for creating songs that are catchy, with strong rock roots, but also maintain an element of creepy, biting folk. 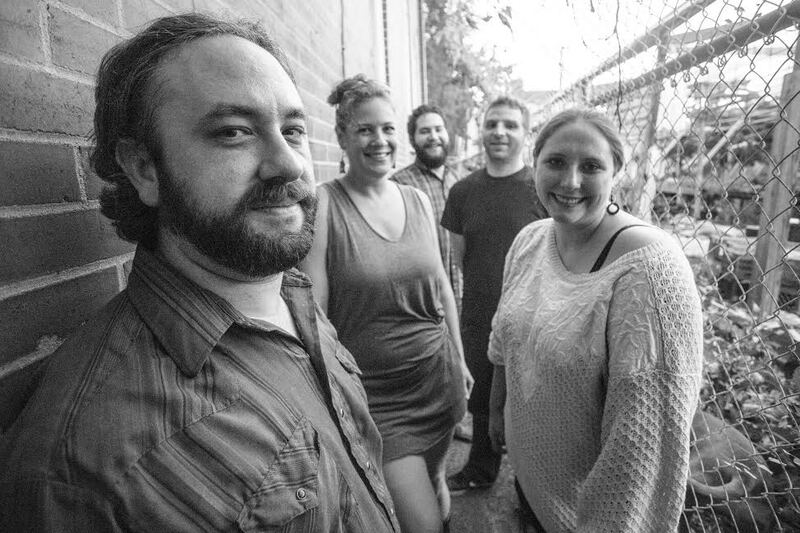 The EP earned them a nomination for best americana in the Riverfront Times in 2014, as well as a place in the top 10 local bands of 2013 according to radio station 88.1 KDHX. With their new album “Bar Tabs and Baby Names” The Defeated County has established themselves as one of St. Louis's most unique folk-rock bands, and began to draw national attention to the indie band. The Defeated County has opened for bands such as Lydia Loveless, Holly Golightly and The Brokeoffs, Gabe Dixon, The Dirty River Boys, and Vertical Scratchers. They have also been invited to play the Best of St. Louis Music Festival three times.